Cintiq 21UX with a Severed Cable - Can We Restore It to Working Order? Bongofish > Screen Tablet malarky > Heyaaaalpppp > Cintiq 21UX with a Severed Cable - Can We Restore It to Working Order? Hi, Bongofish forum! I'm here at this repository of Wacom hacking knowledge because I've just purchased a Cintiq 21UX DTK-2100 for the shockingly low price of ~$75 USD. There's just one little problem with it - some absolute animal decided unplugging it was took much work! I'll chop this power supply apart if I really have to, but I would infinitely prefer to find a proper plug for it. 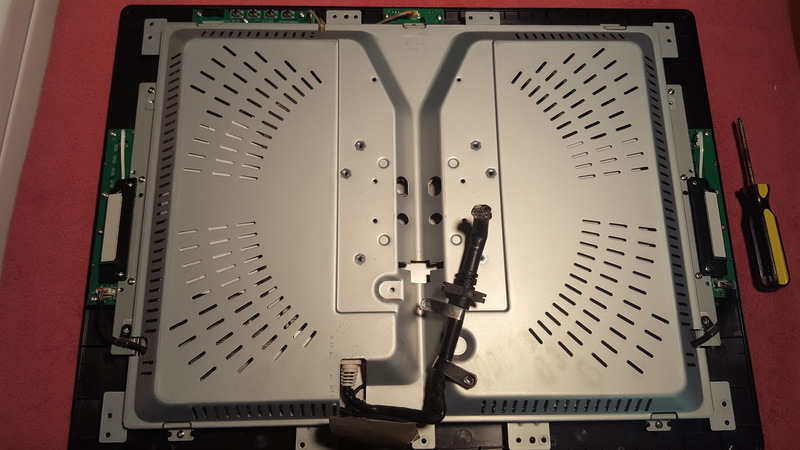 So did Wacom really engineer these older Cintiqs with proprietary, unbuyable power connectors, or have I just not stumbled upon the correct round 4-pin socket type? Re: Cintiq 21UX with a Severed Cable - Can We Restore It to Working Order? 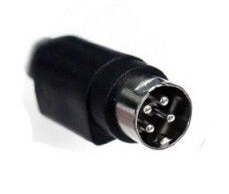 Look for "4pin CCTV power", you will found that very similar plugs are used for powering analog CCTV cameras. Some links below. Aw man, DTK version too... I'm jelly. 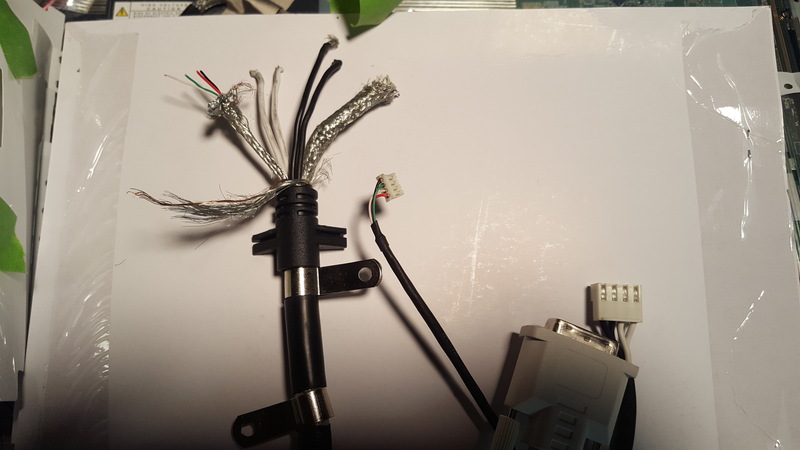 It's a 4-pin DIN connector, they use em for appliances that draw a lot of power at low voltages like 12V or so (Cintiq needs 7A). As with all these round DIN connectors the pin arrangement has different variations of the same pin count, but it shouldn't be too hard to find one from places like aliexpress or local electronics stores. I know, right? I've been pondering the cheap DTZs on eBay, but everyone seems to think the Intuos 4 Cintiqs are miles apart. There's still a very good chance this thing is inoperable (or will be after I get my soldering iron in there), so don't count me too lucky yet. Woohoo! That's exactly what I just ordered. 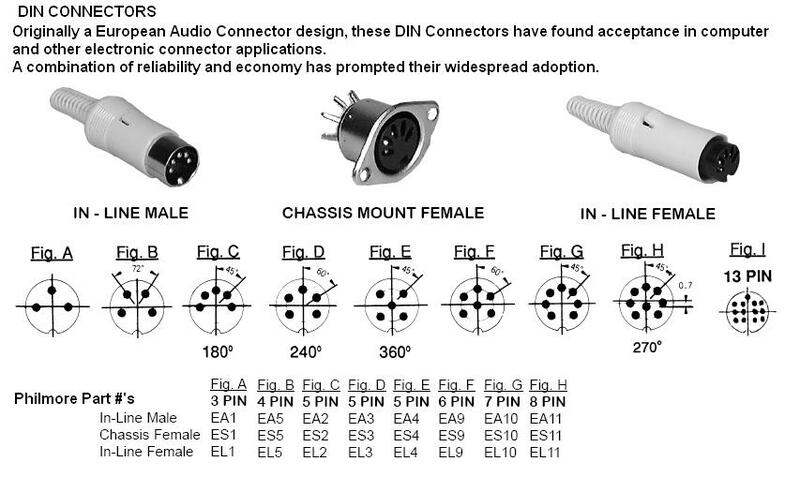 I must have assumed the old AT-style keyboard connectors were the only flavor of round DIN connector and discounted the lot of them. Everything should be here by Friday or early next week; I'll report back with pictures once I've had a chance to crack it open. The main issue I have read about the 21UX is that the screen is not spectacular and that it still shows some jitter on the borders (it still is a CCFL backlit panel, I fear). 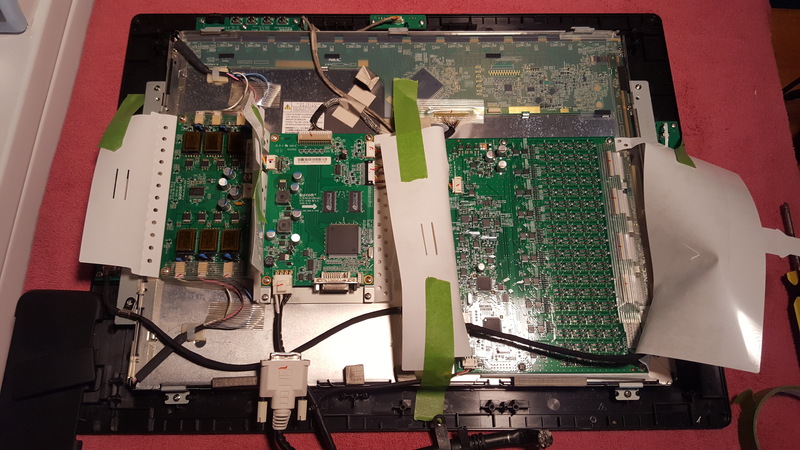 I kind of remember that someone has disassembled one of these and that, inside, the "monolitic" cable divides in a standard video cable, a USB cable and the power, and that they actually use a normal connector for the video (power and USB may need soldering or crimping). If the thief that tried to steal it (the only scenario I can see where one may toss hundred dollars of worth, to gain a couple of minutes) has not cut the cables while it was operating, it should be not too hard to bring back to life. Not really, i'd say they're just as good - it's just that DTK versions are usually more rare and expensive. I have a 12WX (DTZ-1200) here and there's honestly not much of a difference between it and the DTU-tech used in older Cintiqs and common TabletPC's. Most noticeable difference is that the grip pen is much nicer and with 2 buttons. The hover distance and report rate are better on DTZ but those don't matter as much. My 12WX does jitter in the right side, that may be where the CCFL is. Corner-jitter is actually worse compared to a TabletPC digitizer and i don't know why! TabletPC digitizers are supposed to be "cheaper" but i really like their overall performance. Everything arrived, and nothing was quite what I expected. Screen looks almost pristine, so even when I confirm this thing is offically dead I might be able to part it out. Took the back of the case off and peeled some tape - what's this? I knew this was possible and it still utterly shocks the armchair engineer in me. If you're going to put a full-size DVI connector head in your product, why the heck wouldn't you just mount it two inches lower and make it accessible to the user? Only needing to deal with eight wires is a huge relief. There's hope for this thing yet! Also, I must say, the microelectronic design skills on display here are mighty impressive. I just had an earlier touchscreen monitor open looking for bad caps a few weeks ago, and it was an absolute mess compared to this. Like, what's an electrolytic? So the good news is it looks like all I need is a pinout for the power connector and I might actually be somewhere. Bad news is the DIN connector I ordered was waaay too big for the power adapter. 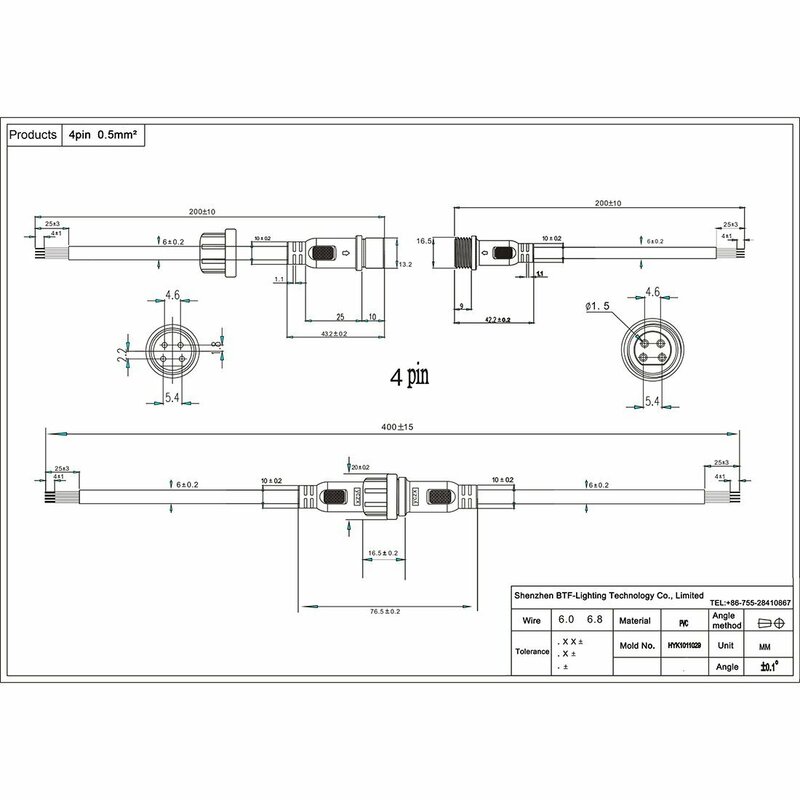 Apparently I need a mini 4-pin DIN, but I strongly suspect the "Philmore EML4" connector I just bought will arrive looking exactly like an S-video connector. I got a 5-pack of these uxcell cheapie panel mounts, as well, but unless I can disassemble one I might be better off just chopping up the power adapter. Rustic workmen throw late-model Power Macs across a gutted office in the manner of fishmongers. FOREMAN of these equipment liquidators surveys the scene from behind a clipboard. UNDERLING emerges from under a nearby desk, clearly perplexed. FOREMAN: An' make sure ya git them monitors on tha cart. FOREMAN: (barely looking up) Whatsa problem? Tumbscrews? UNDERLING: Dang things split off into t'ree, and they got these connectors, and...is that a USB? FOREMAN: (handing over a pair of bolt cutters) Yeah, yeah. We ain't gettin' paid by the hour here. UNDERLING: (handing back one of several Intuos4 styluses) There was these pens, too, but they're all outta ink. Next hurdle, then: Can anyone please explain exactly what's going on with these four pins my DTK-2100 calls a power input, and possibly direct me to a pinout? 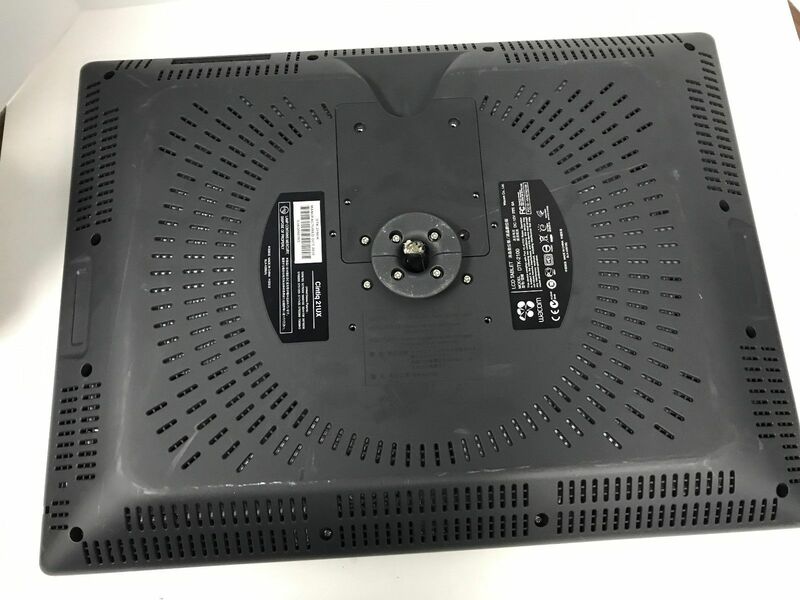 If this monitor really need 7A of current, industrial equipment (disconnected each service inspection) will use proper service margin and have 2-pin connectors with 10A per pin capacity. Proper engineered user manageable equipment should have bigger safety margin, let say 15A - 20A capacity to have good enough performance even after years of playing with it. But better connectors always cost more and are more tough than regular low-current ones. IMHO someone decide to use standard connector with 7A/pin or 10A/pin current capacity but connect two pins parallel to double current capacity. Next thing, proper power cable will be thicker and harder than two with half size and half capacity. GND is often connected to shielding. Ohm-meter can easily check this. GND and 5V are often connected to input capacitor located near connector. 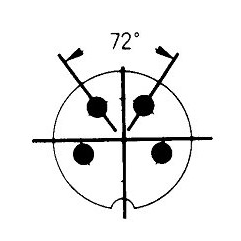 Also, polarity mark can approve where are 5V and GND. D+ and D- often are routed to two similar SMD components or single 4-pin/6-pin input filter. If You swap these two wires, funny things may happened but You cannot destroy anything. If You swap wires again and tablet working better, You're in home. * one exception, sometimes You may found solution with 2, 4, 6, 8 'big' power wires and extra 2 small wires. This are sense wires. PSU can read voltage directly at load and increase output voltage to compensate voltage drop over long cables. Panel mount power connectors came in and they're a perfect fit. They'd make for one ugly cable, but I can at least test some theories with them. This is suddenly a bit scary, because this will be a major triumph if the Cintiq was all working besides the cable, and I wouldn't want my inexperience to be the thing that fried it. So, in administering this next bit of advice, please treat me as you would an idiotic five-year-old holding his soldering iron upside down - no big words, assume I know absolutely nothing, and be very clear if I'm about to destroy anything. DVI cable is a cinch. USB should be easy to solder up (red-to-red, the black pin is definitely connected to the ground plane, etc., and even if someone has funny ideas about the standard color code it's unlikely anything will explode). I don't entirely understand the "why" of this dual-channel power cable, but then I never quite grokked V=IR, either. I do know that the two black pins going into the served cable read as 0 Ohms across, as do the two white pins, the black pins read at 0 to a grounded screw and the white pins read at infinity, and a white to a black reads at infinity. Four pins as a hedge against large amperages, but effectively just one white V-in and a ground, yes? Plugging the power supply into the connector yields similar results - two pins are common to each other, as are the other two, the two sets are not connected, both sets of pins read at infinity to the left and right prongs of the barrel connector going into the power supply unit, and only one set of pins read as 0 to the third middle (presumably "ground") prong. 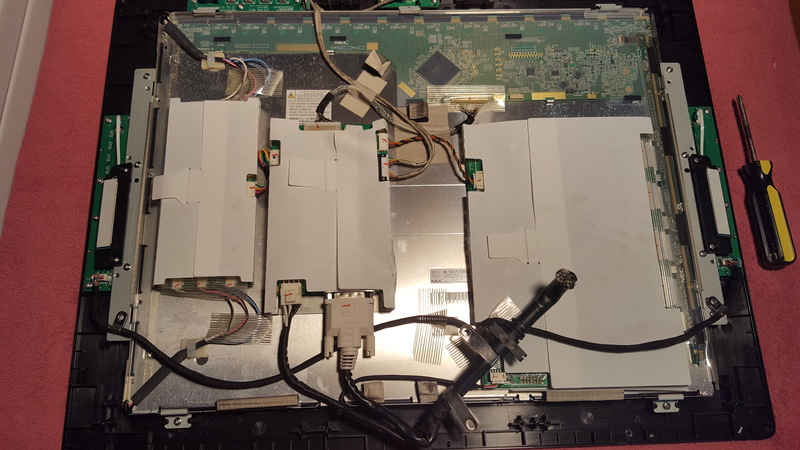 So does this mean the repair may be as simple as wiring up the USB line color-to-color, soldering the black common-ground pins out of the Cintiq into the pair of pins that connects to the middle prong of the power supply cable and the whites to the other pair, and slapping in a DVI cable? Gladly, but the lighting in my shop is atrocious. I'll haul it upstairs to take some proper pictures before I button it back up, one way or another; I'm also curious what the heck is going on with some of this circuitry. Can you please clarify what you mean by the "18 input groups"? Any updates since May? did you get the thing to work? I recently repaired an identical one so maybe I could be of any help if you are still stuck with this.